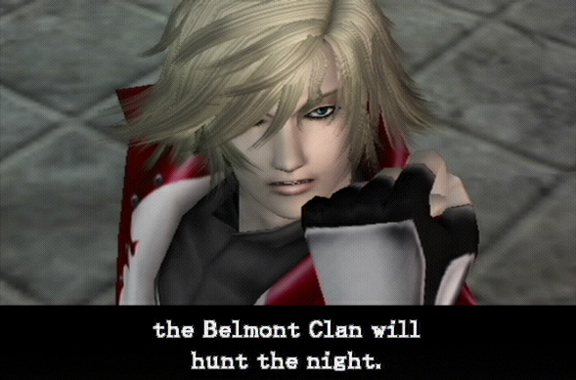 Here Leon Belmont laments his boy band hair style. A word of advice for any game developers in my reading audience: if you make a game with the potential to give the players a stroke from the sheer force of disappointment, don’t use the term “Lament” in the title. People use the word to express negative emotions. “I lament the fact that my girlfriend dumped me for a homeless transsexual,” or “I lament the fact that my foot fell off and I went blind because I didn’t manage my diabetes,” or in this case, “I lament that an extremely promising origin story from a beloved childhood game franchise turned out mildly less interesting than the stuff that comes out of my cat.” Released in 2003 for the PS2, Castlevania: Lament of Innocence, offers players a backstory on the Belmont clan and there eternal struggle against Count Dracula and his light fixtures, as well as showing us the birth of a vampire, a glimpse into the terror and horror of a story so sub-par that a 100% historically accurate account would have entertained me far more. 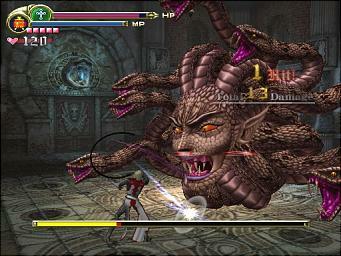 Only a Belmont dares to stare down a gorgon. Seriously…eye contact. You can’t do it. Don’t these people ever read? I had the misfortune of seeing Dracula Untold the day after I began playing Lament of Innocence. Even that pales in comparison with the real Vlad Tepes; seriously, did we really need the vampire angle to make him interesting? The guy’s friends nicknamed him “The Impaler.” In real life! Want to know what they call the primary antagonist throughout most of Lament of Innocence? Walter. And nothing gets me shaking in my boots more than the dread of a confrontation with the villainous Walter the Vampire. Bram Stoker’s novel works because it took a real life legend and added horrors on top of that. In fact, the early Castlevania games did the same thing. Can’t write a story for an 8-bit console? Why not use creatures that already have one. We didn’t need cut scenes or text because when we saw Dracula, we already know him and his reputation. We presume he has a pike waiting in the closet, just for us. But an origin story that goes in a completely different direction actually ruins that for us. Imagine getting to the Blair Witch’s house only to find a 17-year-old girl dancing naked at the solstice, or if the gun in Saw fired a nerf dart, and Jigsaw jumped up, smiled, and yelled, “Gotcha!” It takes the fangs out of biting horror, and a monster trying to gum you to death feels more annoying than terrifying. Lament of Innocence opens with the protagonist, Leon, running. Apparently Konami attributed the success of Symphony of the Night to its opening scene, rather than clever RPG combat system and Metroid Style exploration. Nope. Players don’t want that. Get rid of them. We only need to see someone running. That’ll set up sufficient premise and conflict. 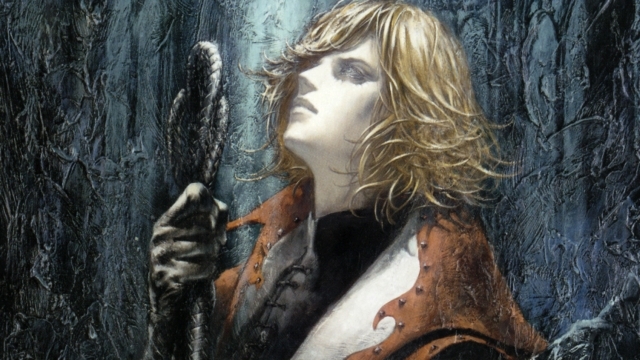 Unlike Alucard’s mad dash for the castle gates, though, Leon comes to a halt when a man steps out of the woods. He introduces himself as Rinaldo Gandolfini, a name indicating his role in the story only slightly less than if Konami had called him “Merlin-wan Kenobi” or “Yoda Dumbledore.” Leon reveals that the vampire master of the castle has abducted his betrothed, Sara (*cringe* Really? Running to the castle to save a girl? Can’t we think of anything original anymore? Why not make him collect coins and jump on a flagpole at the end?). Rinaldo, in turn, explains that Walter the Vampire runs a most-dangerous-game sort of operation, and wants Gandolfini to sell equipment to potential victims. He gives Leon a whip. A whip made with alchemy–I know my high school chemistry teacher often wound up with Medieval weaponry as byproducts of chemical reactions. I don’t know about violence against women, but I feel the sudden need to abuse myself. The game, feeling guilty for killing your interest with a painfully long cut scene, proceeds to make up for its sins by giving you a five hour interlude of gameplay before the next bit of story. Keep in mind I use that term loosely. In one of her videos, Anita Sarkeesian specifically mentions this game as a cliched example of violence against women used as a poor replacement for male character development. Here, I have to disagree with her, not because I think anyone can justify the violence in any way, but because Konami had zero pretenses that they wanted to develop anything in this story, least of all character! Leon expresses the personality of a sack of flour. None of the bosses stick around long enough to say or do anything interesting. You don’t encounter Walter the Vampire until the end, at which point the real villain reveals himself as–spoilers!–some guy they mentioned once offhandedly! The girl amounts to nothing but a pretty face covering a sack of cliches. Rinaldo has a little bit of history that makes him mildly interesting, but honestly the whip had more charm and charisma than any of the animate characters in this game. …and they’ll probably find it. Every day. Between 4:30 and 10:00 depending on lattitude and time of year. Bad controls plague the game. The brief tutorial gives you profound advice such as “Do a double jump” or “latch on to stuff with your whip,” without really bothering to explain how any of this works. I mostly figured it out after a few hours of play, but still didn’t always know which ledges I could grab on to, or what fixtures I could whip. Games that involve 3D platforming usually execute moves with all the grace of a one-legged, drunk elephant with vertigo, but poor jump mechanics on top of that means that sometimes it took me six or seven attempts to jump onto a knee-high ledge right in front of me. When a bad guy comes along, you must whip it. If his shield is very strong, you must whip it. I can’t say I entirely hated the game. For a hack-and-slash, it kept my attention long enough, providing a decent amount of challenge as well as a recurring issue where bosses would kill me just as I reduced them to one hit point left–and one case when Walter and I both killed each other at the same time. 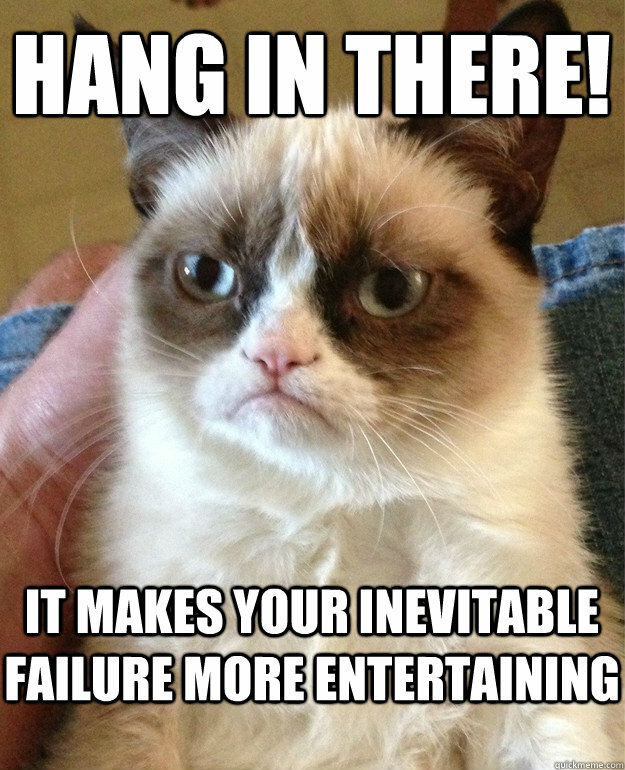 The game doesn’t last too long, which helps prevent me from getting bored. I might even play it again, if I got into the right mood. However, I lament the fact that I got through the game without the threat of impalement, and I may refuse to accept the game as cannon, just so it doesn’t ruin the traditional horror atmosphere of the rest of the series. 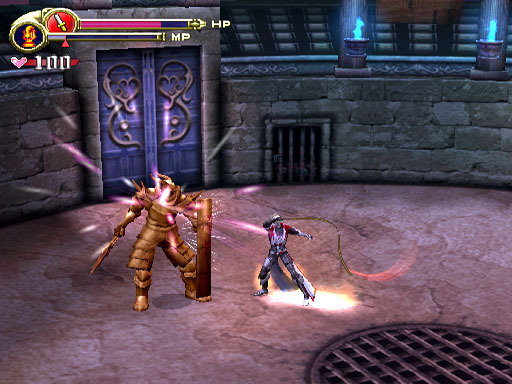 This entry was posted in Castlevania, PS2 and tagged Castlevania, ps2. Bookmark the permalink.